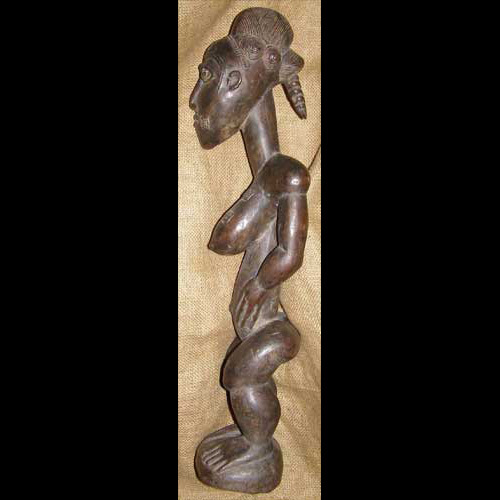 This African statue from the Baule tribe of the Ivory Coast stands 23 inches tall and is hand-carved of wood. 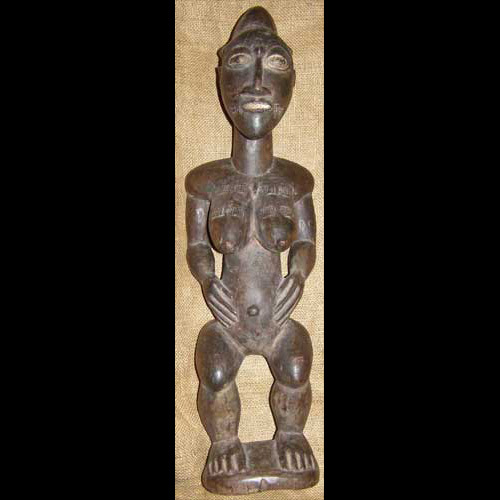 Although not an antique, this Baule statue is over 35 years old. The Baule people, who inhabit the Ivory Coast, were once part of the great Ashanti empire: but in the mid 1700's the Baule separated and went their own way. Though still considered part of the Akan ethno-linguistic group, the Baule tribe have developed many customs and styles uniquely their own.